The Carriage House Apartments remain open through Spring 2011. For monthly bookings, visit our Web site, www.SpaSuitesSf.com. Or email us at . Please include your phone number. ©2005 - 2010 Edward II Inn & Suites. All Rights Reserved. 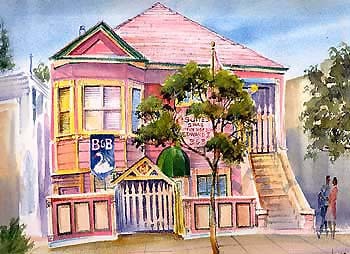 San Francisco paintings by Karin Diesner. Used with permission.